This research isn't just happening in China. Not all human gene-editing research is created equal. The Chinese scientist He Jiankui is a prime example of a reckless gene-editing researcher. He forged documents and used untested technologies on humans while conducting his research, which culminated in the births of the first gene-edited babies in November. On the other end of the spectrum is Dieter Egli. On Friday, NPR published a story revealing that the Columbia University biologist is conducting his own human gene-editing research — but rather than endanger human lives, like He’s research did, Egli’s could help save them. 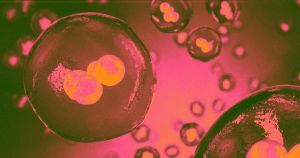 According to the NPR story, Egli is using CRISPR to gene-edit human embryos in a way that would allow a baby to avoid inheriting a genetic defect that can lead to blindness. This is the same CRISPR technique He used, but unlike the Chinese researcher, Egli destroys his embryos just one day after editing them. And maybe that’s true. But we can’t un-invent CRISPR, and if we want to maximize its benefits for humans while minimizing the harm it could cause, we need to research the technology responsibly — and based on NPR‘s reporting, that’s precisely what Egli is trying to do.